Pakistan’s automotive sector has seen a drastic effect because of the influence of several factors. Be it the devaluation of the Rupee, change in policies for non-filers or the slow growth of the economy, the sector has suffered. One of the top automotive brands to be impacted is Suzuki which dominates the 1000cc and 800cc category. 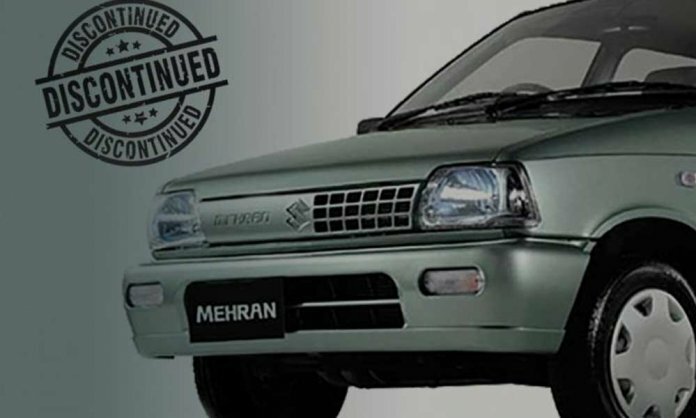 One of Pakistan’s popular and widely-owned car to suffer because of these several factors and other reasons is Suzuki Mehran. Reportedly only 75% of Mehran’s 22,298 units were sold, whereas the variant is regarded as the ideal car for the middle-class family. Pakistan Auto Parts Manufacturers Association, Amir Allahwala told Senate panel Suzuki Mehran’s manufacturing will come to an end within the next two months. Suzuki made the official announcement last year in September 2018 to stop Mehran’s VX variant production in April 2019, while it had been expected for some time now. In 2017, the company had sold 42,000 units. Pak Suzuki will be replacing the variant with the 2019 Alto in March with an expected price tag of Rs 850,000-900,000 for the basic variant. An official announcement is still awaited for in this regards. On the other hand, Amir Allahwala shared that 9 automotive manufacturers will be investing $1.5bn in Pakistan. He added that there are approximately 2.4 million people who are a part of the automotive sector within Pakistan. Furthermore, Pakistan imports 75,000 automotive units and 96% of motorcycles are currently being manufactured within the country and are exported to countries like Nepal, Afghanistan, and even Sri Lanka. Have anything to add to the story? Share it with us in the comments below!